Is your application process hurting your talent search? 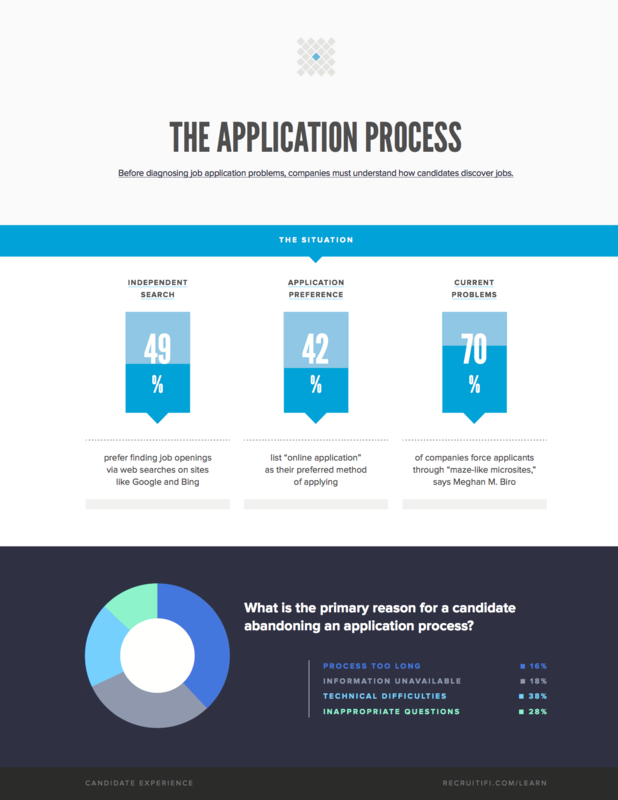 The reasons that potential candidates fail to complete an application. How you can improve your process and find the candidates you want. A company’s application is the gateway through which a candidate enters the overall application process, and should reflect your company in a positive way. With over 90% of candidates who reach a career site leaving without applying for a position, it’s clear that most applications are leaving a lot to be desired. Download this article to learn more about how great candidates are finding open jobs online and why they might not be completing your application.